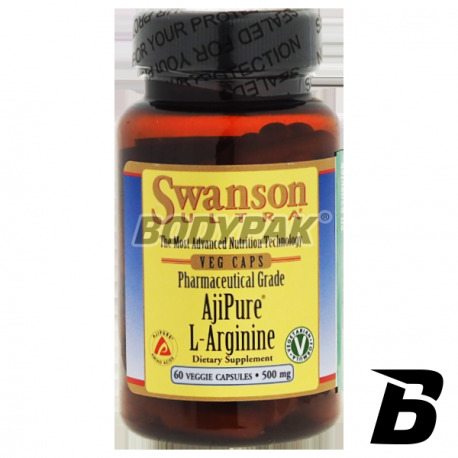 Amino AcidsSwanson AjiPure L-Arginine 500mg - 60 kaps. 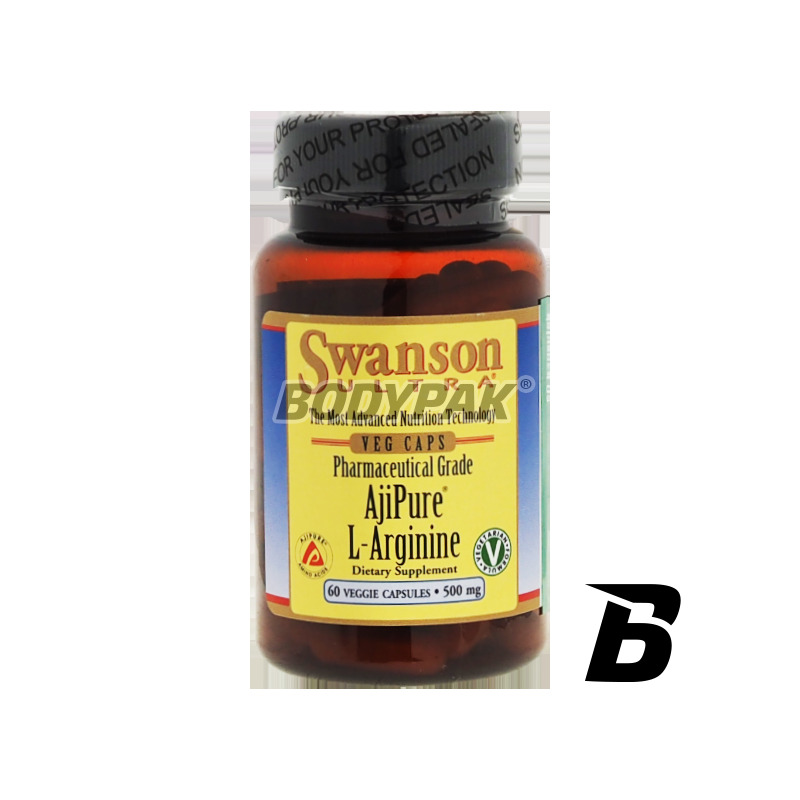 Swanson AjiPure L-Arginine 500mg - 60 kaps. L-Arginine - is an amino acid endogenous wide range of use. Improves recovery after the better nutrition and oxygenation of the body, which results from vasodilation. Improves recovery after the better nutrition and oxygenation of the body, which results from vasodilation. L-arginine is an amino acid endogenous wide range of use. L-arginine acts on the cardiovascular system by promoting nitric oxide production in endothelial cells. As a result, the smooth muscles get information about the relaxation resulting in improved circulation. This is a desirable effect for prevention of hypertension tętnicznego. L-arginine may also normalize platelet aggregation (tendency to develop clots) in patients with high cholesterol levels. Składniki: l-arginina, wegetariańska otoczka kapsułki (celuloza), substancje przeciwzbrylające: stearynian magnezu i dwutlenek krzemu. Całkowicie inna jakoś l-argininy. Warto pomimo wysokiej ceny/ilości.